Lowfool vs Lowfool : Inner Conflict is a vinyl and PVC diorama set from Fool’s Paradise. 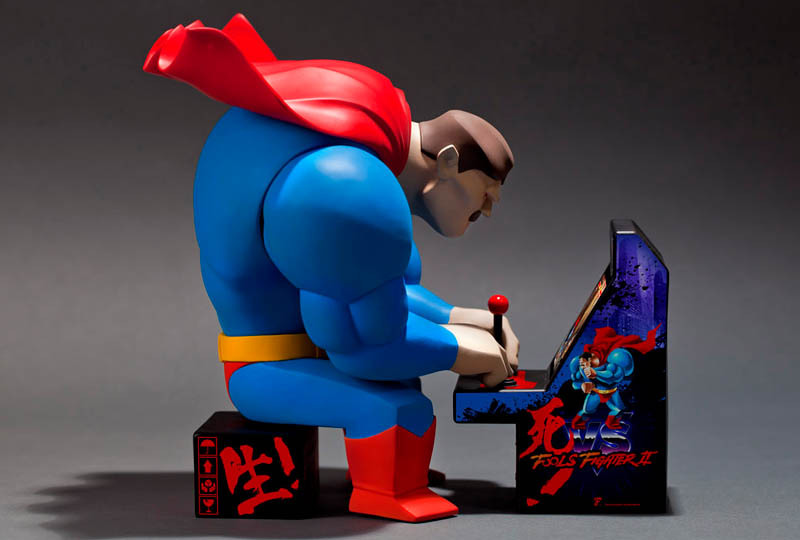 The first piece features a disproportionately large, mustachioed Superman playing an arcade machine. Watch the video below to see who is next in this series. I’ll just spoil it for you. It is Batman himself. Pretty cool. I hope they make more, because I would love to see a bunch of heroes sitting around playing arcade games together. This cool figure is priced at $255(USD) and is limited to 398 pieces worldwide. You can pre-order it starting today at Fools Online. They will ship in the 4th quarter of 2016.